I just want to let you know how much I enjoy my kit. I love to be able to give myself such a beautiful manicure from home. This is saving me so much time and money. Thank you! I just can't say enough about this gel. My hands look so pretty for the first time in so many years. My nails have aging ridges on them, and the gel makes the ridges go away...SO HAPPY! Holiday gift from my sister. I just LOVE the outcome of my manicures! I am ready to order more colors, as this set comes with only one color choice. My nails haven't looked this beautiful for years. My sister has been using your product for around five years and has sworn by it. Now I know...wish I had known five years ago! I did the math, and the Deluxe kit is a better deal if you can afford it. 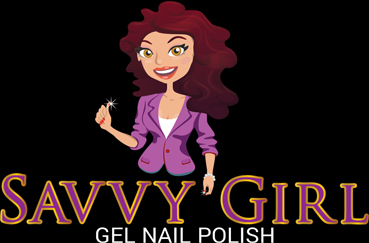 Boy this is the easiest application of gel polish I have experienced! It has lasted already two weeks on my very hard working hands! Doesn't this say it all? Not only is it "5 FREE" - but it is also the greatest gel nail polish my manicurist has EVER used! I just LOVE LOVE LOVE this stuff! I received this kit for my birthday and I just LOVE it! It is so easy to apply this gel polish, and the colors are so varied. I will NEVER go to a nail salon again! No little throw away kit here...this is a real, professional quality gel polish kit at a great deal! I haven't seen this quality in a DIY kit available to purchase. I am so in love with this system. I just wish they would come out with some more colors soon. I can confidently say that this is the best beauty purchase I have ever made. My nails are thin and break easily, so gel manicures are all that works. At $30-40 bucks a visit, not to mention the time taken to get them done...its just not worth it. This little light works SO FAST! It's so easy (just take your time applying, don't get any on the cuticle or it will peel off-duh). Anyone who says that the color doesn't dry is probably not applying the coats thin enough. Salons apply multiple coats too. God, I seriously am in love with this light. The 30 seconds it takes to dry under the light makes it so fast to complete! Great product-I totally recommend it! Just like going to the salon!!! Looks great!